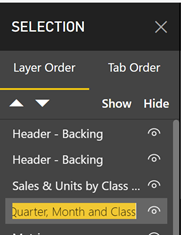 The single select slicer option has been revamped to support radio buttons and allows one and only one filter selection. Additionally, for drop-down slicers, it closes the drop-down after selection, making the interaction much quicker for end users. You can still use the previous behavior, where clicking a selection replaces the filter but they can Ctrl+click to multiselect, by turning on the Multi-select with CTRL option instead. 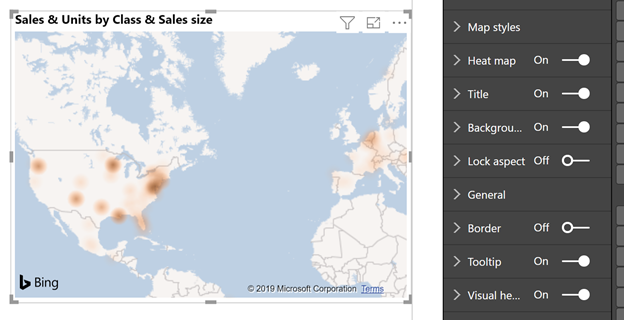 You can now enable a heat map formatting option for our circle Bing map visual. You’ll see an option to convert all the location dots on your map to a heat map layer through the formatting pane. Once that option is turned on the map will automatically replace all the dots with the heat map layer. If you don’t have anything in the Size field well bucket, the gradient is based on location density (how many dots are in that area). If you also have a measure in the Size bucket, the results are weighted by the measure’s value as well. When you open the heat map formatting card, you’ll also see a lot of formatting control. You can set the radius and units for the radius to adjust the layer in addition to the colors used and their transparency. While using the heat map layer, you won’t be able to select individual points or see tooltips. You can now use the axis category labels to cross-highlight, just like the data points in the visual. This is very useful when a category might be very small and hard to click. Another use is if a category is broken out by another series in the legend. This lets you select all values with one click. When you cross-highlight through the axis labels, the axis label is bolded. You can now format the default tooltip for each visual in your report. You can modify the tooltip colors, fonts and transparency, which you can find in the Tooltip card of the formatting pane. You can now link a specific website through an image, shape or button. You can do this by selecting the Web URL option in the Type dropdown of the Action card of the formatting pane. We will automatically take you to the URL when you click on the button (ctrl+click in edit mode). 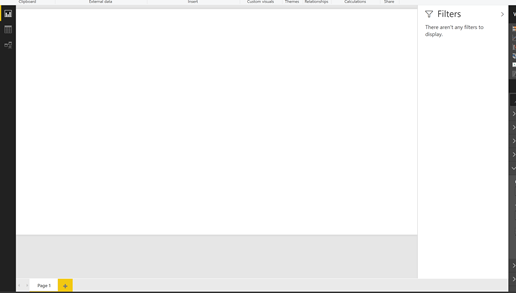 In the Power BI service, we will open a new tab for the site. The URL will need to be a valid URL starting with http:// or https://. Based on customers feedback, we’ve simplified the options for report consumers. Consumers of reports can no longer delete a filter card in the filter pane. Instead, they now have a clear button, which ensures they don’t get into state they cannot fix themselves. You can now choose to align your report pages to the top the view instead of the center through the global report settings. 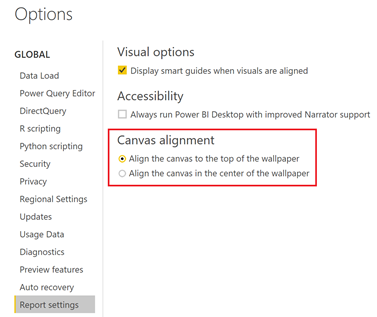 The “Align the canvas to the top of the wallpaper” option is the default for new reports where users are using new filtering experiences. Changing this setting will only apply to new reports going forward. 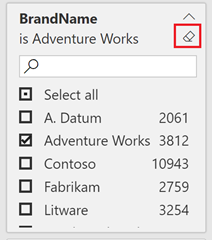 You can now double click an object in the selection pane to rename the title. If the title is off currently, you can still rename it through the selection pane to make it easier to identify different objects in the list. 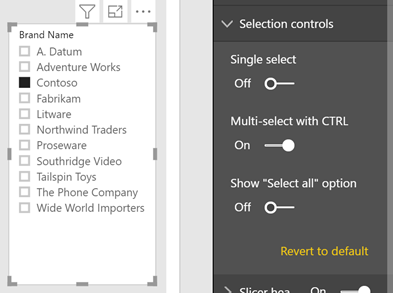 You can also use shift+click, along with ctrl+click, to quickly and easily select many objects in the selection pane at once and adjust their visibility all together using the Show and Hide options at the top of the pane. If the default bubble size is too large for your tastes on the bubble Bing maps, you can now adjust the bubbles to a smaller size. Just slide the Size control under the Bubbles card to the left to reduce the size. This month we also added the ability to add zoom buttons to your map. Zoom buttons can make it easier to zoom in and out of the map, especially if you don’t have a mouse with a scroll wheel on it. You can turn them on through the Zoom buttons toggle under the Map controls card. The Q&A explorer dialog for reports now includes “Did you mean?” recommendations to help improve results. This includes terms that are misspelled or not understood by Q&A. It will also surface what results are being shown when terms are ambiguous. You can click on the suggestion to replace your current question with the suggestion. 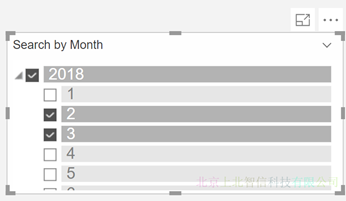 For each date column, we show each hierarchy level in the field list. The entire hierarchy, or a specific selection from the hierarchy can be used in visuals. Bulk editing of columns, measures, and tables. Setting display folders on columns, measures, and hierarchies. You can now use either ContainsString or ContainsStringExact to get a Boolean value returned letting you know if a text field contains a specific string. ContainsStringExact is case sensitive. Another new function this month is DistinctCountNoBlank to return a SQL like distinct count where blank values aren’t counted. We’ve also extended the LookupValue function to now take an optional last parameter to avoid raising an error. Lastly, we’ve also extended the All function so that using the All function without arguments will clear all filters in the filter context. Intellisense support is also supported for all these functions except the All updates and the new DistinctCountNoBlank, both of which will come in our April release. We are giving IT admins more control over the usage of custom visuals in their organization. With this new admin control setting enabled, users can view and use reports containing certified custom visuals only. Uncertified visuals will not render. Once the new setting: “Allow only certified custom visuals is enabled”, any report containing uncertified custom visuals in the report display an error message. This setting doesn’t affect organizational visuals (visuals coming from the organizational store) as those are hand-picked and allowed by the admin. This setting only affects uncertified custom visuals from the Marketplace or private visuals that were uploaded using “Import from file”. 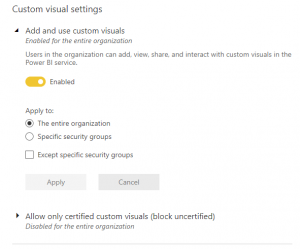 For this setting to also apply to Power BI Desktop, the admin will need to use Group Policy to enforce it. 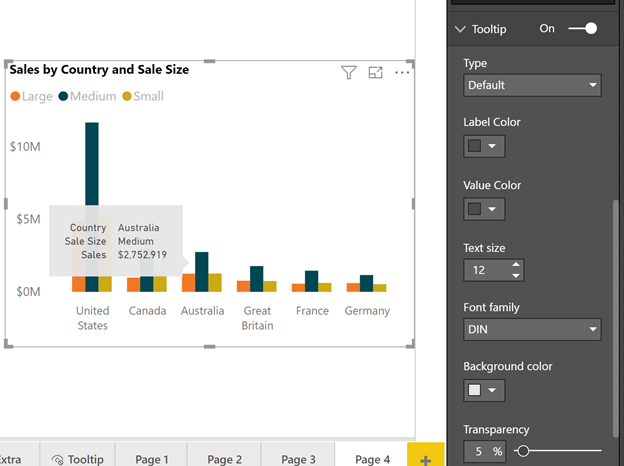 A value of 1 (decimal) enables the use of custom visuals in Power BI Desktop, and a value of 0 (decimal) disables the use of custom visuals in Power BI Desktop. 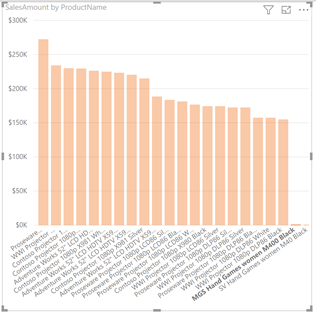 A value of 1 (decimal) enables the use of uncertified visuals in Power BI Desktop, and a value of 0 (decimal) disables the use of uncertified visuals in Power BI Desktop. The Craydec Regression Chart custom visual lets you plot your data on a scatter chart, without aggregating anything (unless you want to), add a linear regression to it, and then split it out by multiple categories as a small multiple. This visual also includes dynamic data loading, which ensures that it loads fast, and it can even handle 10,000+ rows of data with ease. You can download this visual from AppSource. 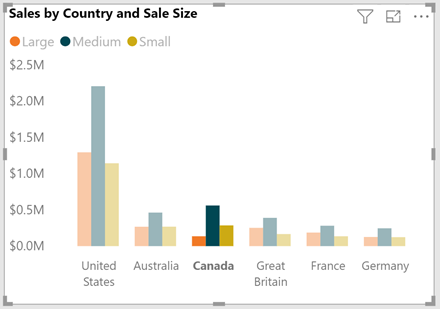 The Power Slicer custom visual lets you add filter your report by different categories right on the report page, similar to the default Slicer visual, but with advanced layout and formatting support. Find this visual on AppSource. This month, we’ve added support for certain kinds of tables spanning multiple pages in the PDF Files connector preview. Intelligent Plant’s Industrial App Store Connector enables Microsoft’s powerful analytics and visualizations to be applied to real time and historical process data. Seamlessly integrate plant and corporate data and share with any colleague on any device, enabling faster, better, real-time decision making. 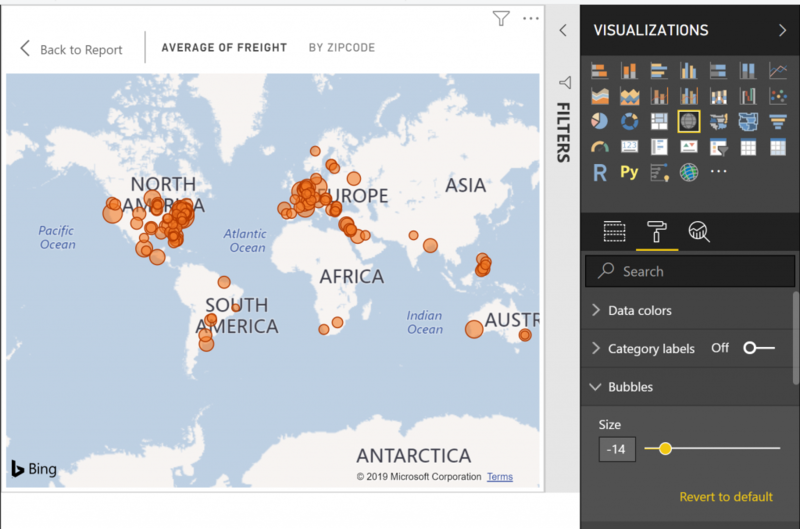 The Industrial App Store Power BI Connector connects to Intelligent Plant’s Industrial App Store, while all data remains securely and safely on premises. The plant data may be centralized in a corporate data lake or globally dispersed across many sites and historians. 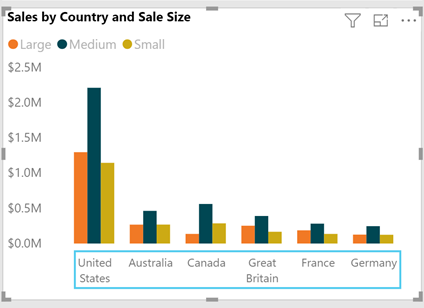 Either way, Industrial App Store Power BI Connector brings it all together and delivers to your fingertips. Azure Cost Management gives you easy access to your Azure cost and usage data. With it, you can make powerful and flexible reports to understand your spending, optimize your usage, and better administer your Azure deployment. 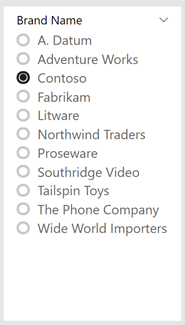 This connector currently supports users on Microsoft Customer Agreement, with support for more on the way. 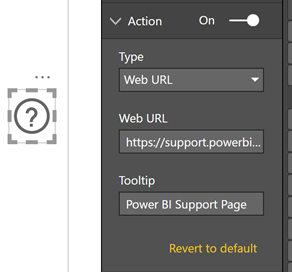 This connector works in the Power BI Desktop currently and will light up in the Power BI service after the next Gateway release.